The three P&C venture-backed US InsurTech start-ups – Lemonade, Metromile, and Root – finished 2018 with pretty good results. Quarterly growth was the slowest ever, but all three paid out in claims less than they collected in premium. However all three start-up carriers still have more work to do to achieve sustainable financials. A year ago, when I started with my friend Adrian a public conversation about InsurTech statutory results, the picture was ugly – loss ratios well over 100%, an aggressive focus on price, and promotional messages on company blogs that dismissed traditional measures of success in insurance. 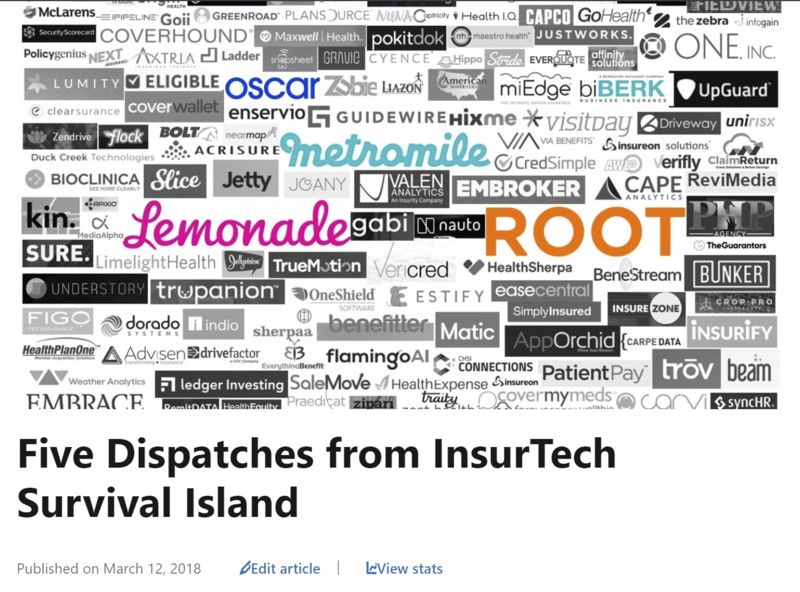 Since the first post titled “5 dispatches from the Insurtech survival island,” the conversation has shifted dramatically. Fast forward a year and one founder said he “messed-up an entire quarter” because premium growth turned negative, when in fact the company generated their best quarterly loss ratio ever. In the months, several start-ups have hired top underwriting talent from their traditional competitors, showing that they increasingly recognize the value of traditional insurance skills. Skeptics point out that a quarter doesn’t mean much, there’s a long way to go before reaching sustainability, and each additional point of loss gets harder to take out. True, but the increased focus this year on reducing losses and increasing prices is making a difference. The three companies have sold in the last 12 months between $40 million and $110 million, less than some of the early 2017 enthusiastic forecasts that Lemonade (for example) would hit $90 million premiums by the end of 2017. In auto, I pointed out at my IoT Insurance Observatory plenary sessions that the pay-as-you-drive telematics approach seems to attract only the niche of customers that rarely use cars – maybe a growing niche, but not a billion dollar business (in premium at least). 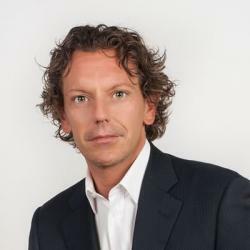 In the last article – which has been the best performing article with more than 22,000 views and 500 likes only on my Linkedin profile – the storytelling was about ants and grasshoppers. Both Lemonade and Metromile have showed a contraction in quarterly written premium volume for the first time in the past two years. Instead, Root have slowed down the growth but this grasshopper keeps hopping with a remarkable 55% quarterly growth. Loss ratios have been all below 100% which is a great improve from the 2017 performances. The quarterly dynamics show a positive trend, but these loss ratio levels are far from the US market average for home insurance (Lemonade) and auto insurance (Root and Metromile). I talk here about loss ratio – a fundamental insurance number – which is how much does an insurer have in claims, divided by their premiums. Easy? Not always. Claims paid and losses incurred divided by premiums earned is the loss ratio, for a fast growing startup as for a large incumbent. The others are only “Exotic loss ratios”. I’ve already heard people who say that accounting rules cause the loss ratio to be overstated based on the following unlucky scenario. There is a book of business done by a one-year homeowner’s policy sold for $730, this policy will earn $2 of premium each day. If a $100 claim (net of the deductible) is received on that first day, the loss ratio is 5,000 per cent. That’s how it works, but is it overstated? Well, as long as premium is being earned, more claims could arrive, and the loss ratio could go even higher still. Obviously you expect the following 364 days to be less unlucky for this portfolio. I don’t think there is any need to adjust that loss ratio…only to know that is not (statistically) relevant. However, the analyzed startups have portfolios of more than 100,000 policies so the bad luck can’t be accountable for eventual unfavorable loss ratios. I could be that some approaches are specially targeted for fraud, and it only takes a few fraudsters to cause big problems in the loss ratio on a small book, as the above illustration shows. Some start-ups have advertised how quickly they pay claims, sometimes not even having a human review them, which invites unsavory people to pay a small amount to start a policy then “lose” a valuable item. Early on, when less premium has been earned, this fraud is particularly impactful on the loss ratio. Over time, in a bigger and more balanced book, fraud gets tempered by the law of large numbers. Additionally, some start-ups have offered large new-business discounts. If they can retain customers reducing the premium leakage, their second-year loss ratios should be more reasonable, but the overall loss ratio will be elevated for however long they are acquiring new customers with aggressive discounts. I would love to discuss also the other lines of the income statements but unfortunately they are not meaningful nor comparable anymore, since companies now move expenses among their entities not represented in the yellow books. The cost amounts represented in the yellow books are only a part of the real costs necessary to run the insurance business. The statutory information I’m commenting is reported only for insurance companies, not agencies, brokers, or service companies. The term “insurance company” or “insurer” has a very specific meaning: “the person who undertakes to indemnify another by insurance”. Within an insurance holding company, it is typical to have an insurer and an affiliated agency, and sometimes other affiliates such as claims administrator. The insurer pays the agency to produce policies. This may feel like moving money from one pocket to another, but there would be reasons for it – which I won’t get into now. The point for commentators and investors is to beware of this “goal seek triumph”: if an insurer (for whom the public receives financial data) pays an affiliate 25% of its premiums to provide certain services, then the insurer’s expenses (which are reported in the yellow book) are set at (or close to) 25% of their premiums, regardless of what they actually are. Major investors are typically privy to large amounts of information and can disentangle the back-and-forth between the insurer, agency, and holding company. For smaller investors, or those who simply pick up a statutory filing, it is easy to be misled. At the beginning of 2018, Lemonade was no longer consolidating its parent and affiliate expenses into Lemonade Insurance Co., its statutory entity. Lemonade’s CEO commented on our article that this was at the request of their home state regulator. Root followed suit in October 1, 2018, so the Q4 ’18 expense ratio is moved to 28% from the 70% in the Q3 ‘18. So the “new” expense ratios (and therefore combined ratios) are artificial and not comparable to the previous ones or to competitors. While regulators may have reasons for their actions, it is better for students of insurance innovation to know the full, real financials, so as to determine if the start-ups are ever able to “walk the talk” of better expense efficiency from “being built on a digital substrate.” Unfortunately bloggers are not the main audience of statutory filings. Nonetheless, innovation cheerleaders, investors, and journalists …please pay attention to these accounting differences before commenting the performances. 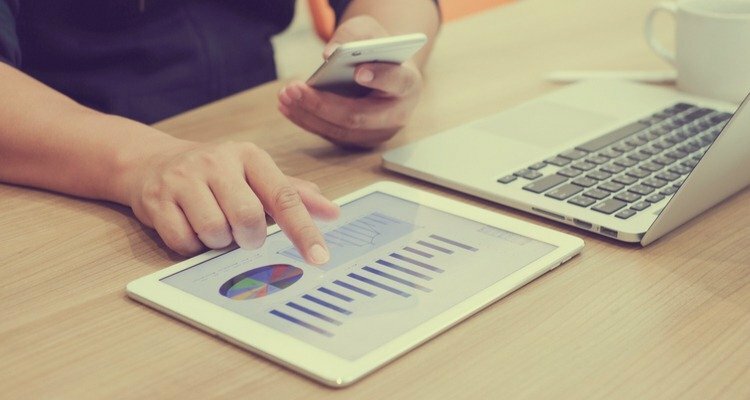 Since the beginning of the quarterly discussion of US-based insurtech carriers’ financials based on their public filings, many have responded that these players needed to be evaluated on other metrics too. I agree, so let’s look at one of those measures, and talk about some questions to determine if the measure really stacks up. Company A – a flashy Start-up Insurance Co. uses outsourced call centres, bots, incessant Instagram ads, comparison rater websites, third-party claims administrators and a slick app. It sells one line of insurance, only personal, with low limits, and has no complicated old claims (yet). If your house burns down, you open an app and wait. The company has a low expense ratio, high acquisition costs, and a high loss ratio. Company B – a old Traditional Insurance Co. uses a mix of direct sales, captive agents, and independent agents. Claims are handled mostly by agents and in-house staff. If your house burns down, your agent turns up with a reservation for a nearby hotel, billed directly to the insurer. Sells 12 lines of insurance including small commercial, and a wide range of products within each line, with bundling encouraged. Has a high expense ratio, high acquisition costs, strong customer loyalty, and losses less than the industry average. 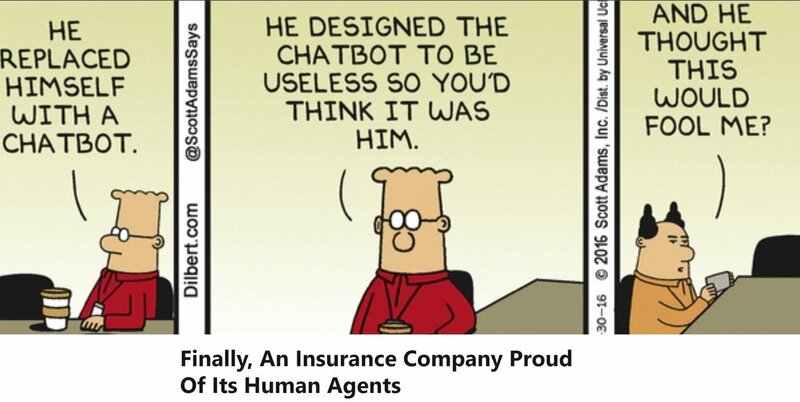 The start-up, for example, may claim performance several times better than the incumbents on a “policy per human” KPI, considering in the count of “humans” agents and brokers. Why does a policy-per-human number matter at all? And why is more policies per human better than fewer? Company A and Company B are two different business models, with two opposite approaches about humans – neither of which is necessarily best. Despite Steve Anderson and I wrote a heartfelt defense of the model based on agents, brokers and other distribution partners a few months ago. Acquisition ratio = total acquisition expenses divided by the earned premiums (for high growth company it’s acceptable to do the division by written premium). This metric includes advertising, other marketing expenses, commissions and other distribution expenses. However, this number (like CAC) can be difficult to compare – for example, are fixed marketing expenses included or excluded? And the economics of customer loyalty are different between direct (where initial CAC is high but renewal is low) and agent sales (where initial CAC is lower and variable but renewal commissions are significant). I love numbers and – as shared in an interview with Carrier Management – the absence quantitative elements in self-promoting website articles, conference keynotes, whitepapers, and social media exchanges have been one of the reasons for starting the publication of articles about the full stack US insurtech startups. Although I’m sometimes described as “critic” or “cynic” about InsurTech companies. I’m only critical of the misuse of numbers, and big fan of those who get the old school insurance KPI right. I’d love to see the innovation succeeded in the insurance sector, and I wish all the best to these three players and their investors.